How to articulate and launch a first to market value proposition and complex range of solutions to Brightstar’s diverse customer base. A simple, humanised and highly personalised content platform, designed around individual customer outcomes. 500+ pieces of content with 20 individual Customer Journeys and over 48,000 impressions in 4 days. 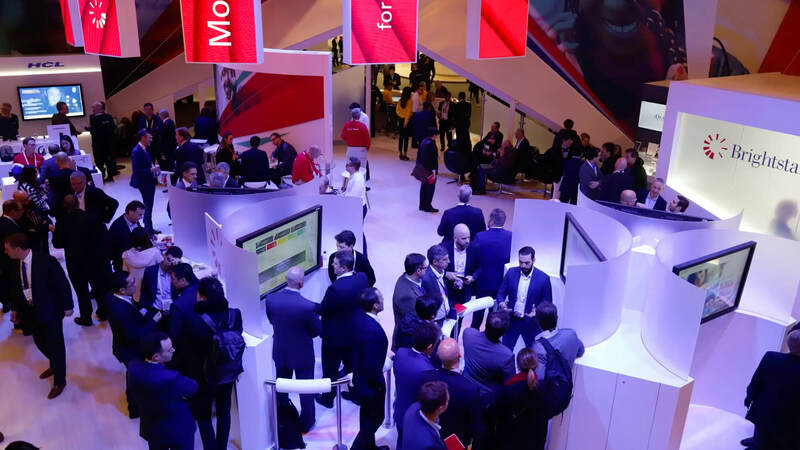 The GSMA Mobile World Congress is the world’s largest exhibition for the mobile industry, bringing together mobile operators, device manufacturers, technology providers, vendors and content owners from across the world. 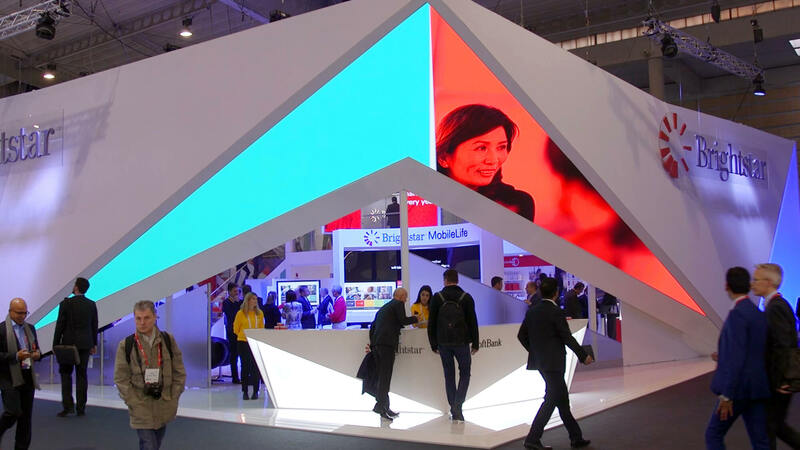 A business critical event for leading mobile services company Brightstar, 2018 presented an even bigger challenge – how to launch an exciting new set of value propositions to a diverse mix of customers with very distinct needs? And how to cut through and stand out at such a highly cluttered and competitive event? With 8 weeks from briefing to the show starting, there was no time to waste, JPC hit the ground running. Drawing upon our unique experience gained helping Brightstar pursue and win some key accounts and large bids, we knew that a highly personalised ABM approach was needed to strategically align sales and marketing; and develop the unique value propositions to address individual target customer challenges and those of their end-customers too. Armed with this invaluable insight we crafted a series of simple scenarios to communicate capabilities through clear benefits and outcomes personal to the carrier, retailer and enterprise and their unique ecosystem. 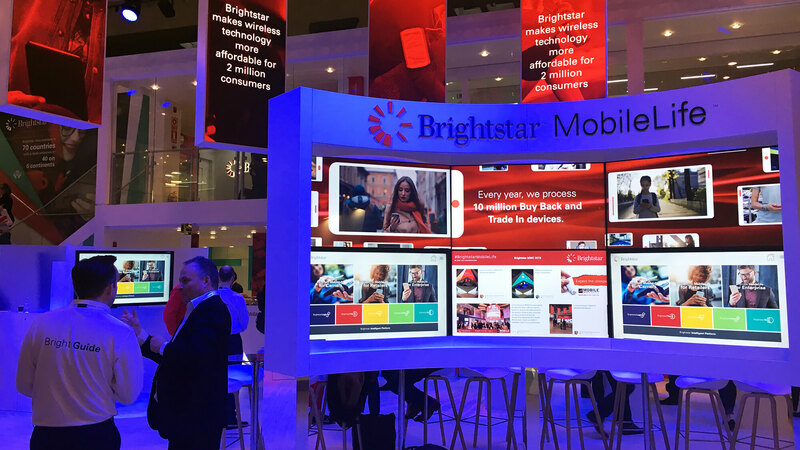 The content strategy ensured that Brightstar’s customer first strategy was lived from the very first interaction with inbuilt flexibility to tailor the customer’s experience, no matter where they went on the stand, and placing them at the centre of their journey, whatever their role. 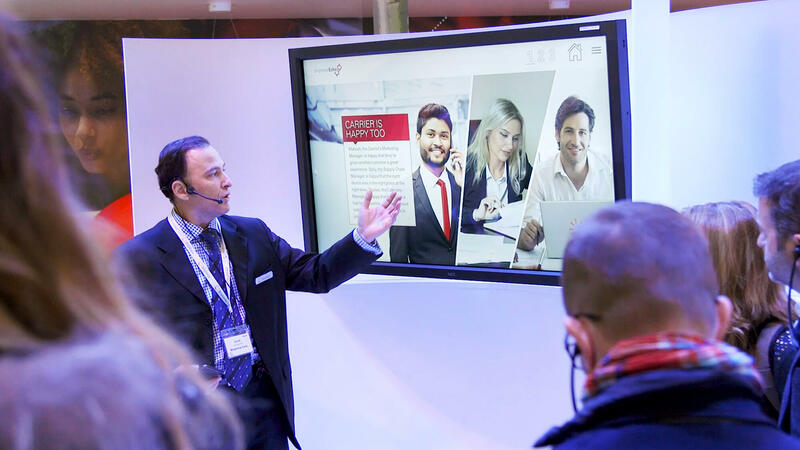 To welcome customers and build excitement for the journey ahead, we also created a high impact, dynamic, video to set the scene across a video wall at the entrance. Bringing Brightstar’s end-to-end story to life and giving a complete overview of their vision, mission and purpose – it was critical in creating the right tone for their event. We set JPC the challenge of turning our purpose into something engaging - they’ve created the most amazing video. It really sums up our purpose, and we used it to open the show. It attracted people onto the stand and it’s absolutely the essence of everything we do. 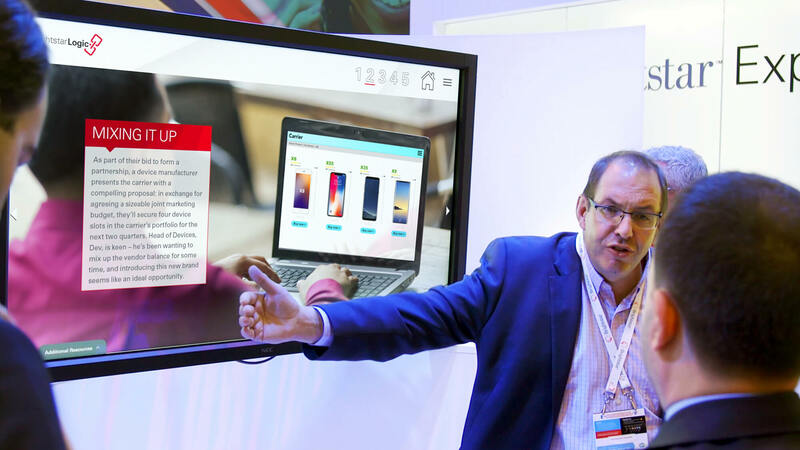 Customers were then offered an interactive touch screen overview; made available at critical touch-points across the stand. 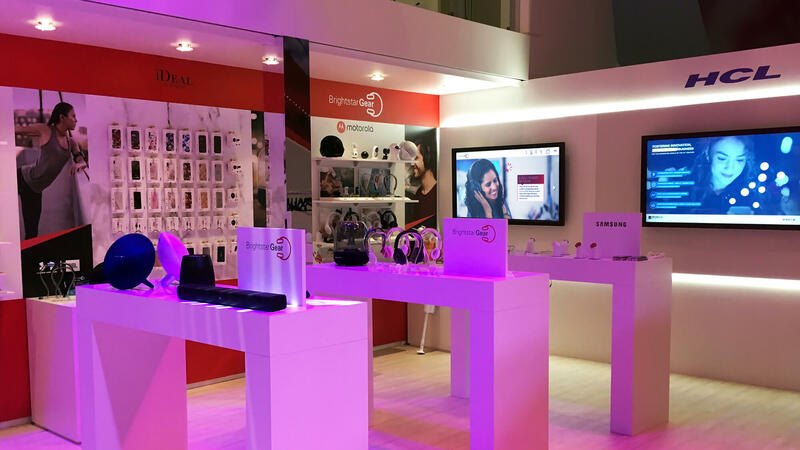 Showcasing Brightstar’s full portfolio, it allowed us to make the journey very specific, addressing key customer pain points via a combination of carefully considered solutions, all underpinned by Brightstar’s powerful intelligent platform. The content system we created allowed Brightstar to deliver laser focused digital experiences, based on customer industry and role. An integrated sales toolkit made up of personalised presentations, hard hitting infographics, videos, demonstrations and ‘day in the life of scenarios’ all worked together to translate Brightstar’s complex, technical capabilities into simple, first person narrative, while also enabling a deep dive of the solution behind this – immediately raising Brightstar’s profile beyond logistics and supply-chain, to outcome focused value partner. And everything had to be built with the wider objective of rolling out into an on-the-road sales toolkit after the event. Absolutely delighted on the show to get some really positive feedback from our customers’ and from our prospects. People loved the stand, they loved what we were saying, they loved the way we were showing everything. Some great comments saying, we’ve heard you saying you could do this stuff, this year we could really see you were doing it. We completed the journey via simple, visual infographic animations to bring to life some of Brightstar’s powerful credibility facts and figures, placed strategically on the stand and across social media. What I’ve loved most, is that the answers always yes. It’s can-do. There’s been great collaboration.